Introduce a Friend and Earn £10 Each! At Locate a Locum, we really love our locum pharmacists, dispensers and technicians. That’s why we have launched a new rewards program - Refer a Friend. Do you know any experienced pharmacist, dispenser or technician locums who are still going through agencies to get work? Perhaps you know someone who is considering the move into locum work but needs that extra bit of encouragement? Our new rewards scheme is perfect for them. 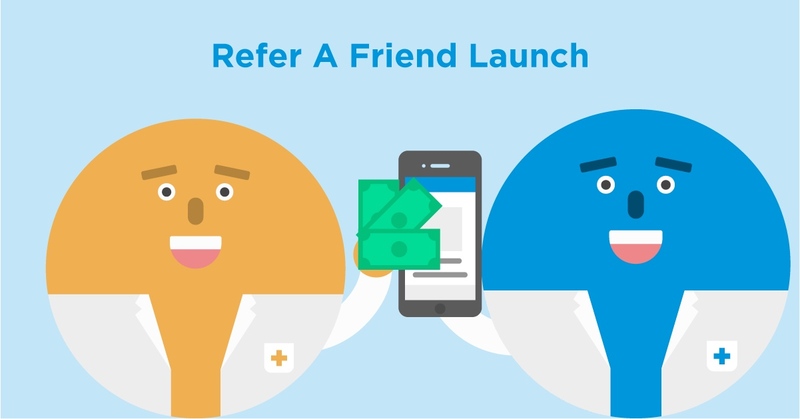 Sign up a pharmacy friend to Locate a Locum using the referral link on your account. Your friend can browse through the available shifts and apply for the job of their choice. After your friend has booked their first shift, you will both receive £10 as a thank you from us. You can introduce as many friends as you like. And once they book their first shift you will both receive £10 thank you. Each user now has a unique referral link on their account. When someone signs up via this link, we’ll know that you’re the introducer so any rewards you are due will be awarded automatically. Likewise, the new user will also receive their £10 automatically. It doesn’t matter whether you introduce a new pharmacist, technician or dispenser to Locate a Locum, the £10 reward is still up for grabs. And your referral link is ready to start using right now. So, get sharing and start earning!